Scientist, Harriet Booth, counting and collecting mudsnails from a mudflat at low tide. Salt marshes are among the most productive coastal ecosystems. They support a diversity of plants and animals. Algae and marsh plants use the sun’s energy to make sugars and grow. They also feed many invertebrates, such as snails and crabs, which are then eaten by fish and birds. This flow of energy through the food web is important for the functioning of the marsh. Also important for the food web is the cycle of matter and nutrients. The waste from these animals, and eventually their decaying bodies, recycle matter and nutrients, which can be used by the next generation of plants and algae. Changes in any links in the food chain can have cascading effects throughout the ecosystem. Today, we are adding large amounts of fertilizers to our lawns and agricultural areas. When it rains, these nutrients run off into our waterways, ponds, and lakes. If the added nutrients end up in marshes, marsh plants and algae can then use these extra nutrients to grow and reproduce faster. 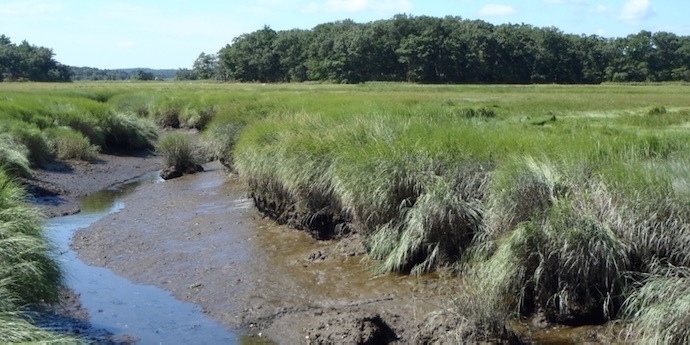 Scientists working at Plum Island Marsh wanted to understand how these added nutrients affect the marsh food web, so they experimentally fertilized several salt marsh creeks for many years. In 2009, they noticed that fish populations were declining in the fertilized creeks. View of a Plum Island salt marsh. Fertilizer does not have any direct effect on fish, so the scientists wondered what the fertilizer could be changing in the system that could affect the fish. That same year they also noticed that the mudflats in the fertilized creeks were covered in mudsnails, far more so than in previous years. These mudsnails eat the same algae that the fish eat, and they compete for space on the mudflats with the small invertebrates that the fish also eat. The scientists thought that the large populations of mudsnails were causing the mysterious disappearance of fish in fertilized creeks by decreasing the number of algae and invertebrates in fertilized creeks. A few years later, Harriet began working as one of the scientists at Plum Island Marsh. She was interested in the mudsnail hypothesis, but there was yet no evidence to show the mudsnails were causing the decline in fish populations. She decided to collect some data. 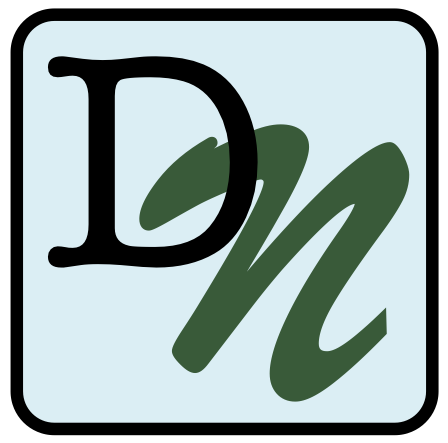 If mudsnails were competing with the invertebrates that fish eat, she expected to find high densities of mudsnails and low densities of invertebrates in the fertilized creeks. 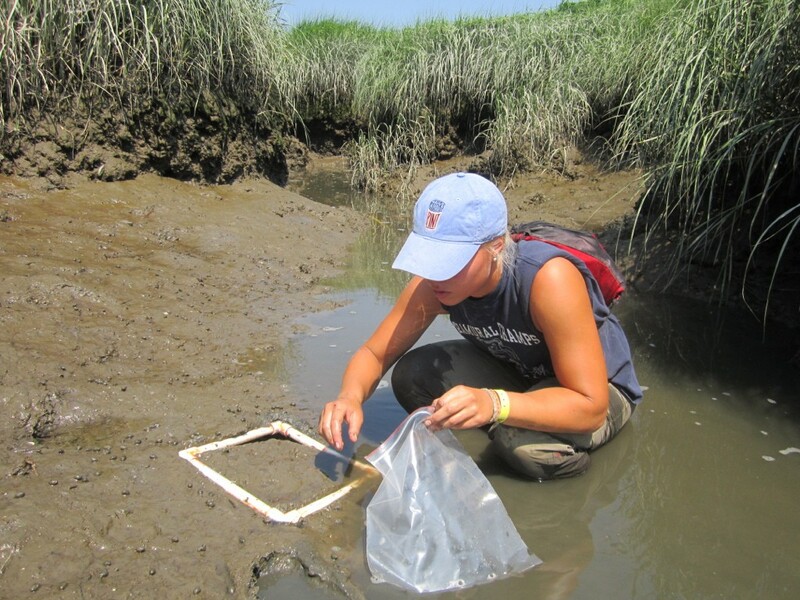 In the summer of 2012, Harriet counted and collected mudsnails using a quadrat (shown in the photo) and took cores down into the mud to measure the other invertebrates in the mudflats of the creeks. She randomly sampled 20 locations along a 200-meter stretch of creek at low tide. The data she collected are found below and can help determine whether mudsnails are responsible for the disappearance of fish in fertilized creeks. 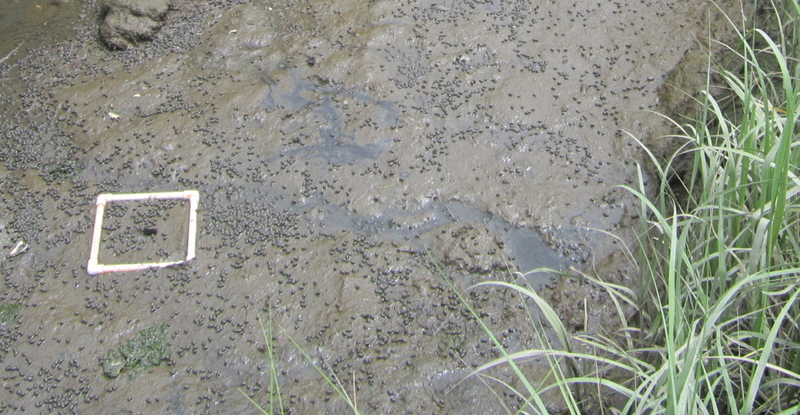 Mudsnails on a mudflat, and the quadrat used to study their population size. If your students are looking for more information on trophic cascades in salt marsh ecosystems, check out the video below! Harriet, very nice article. Clearly written with just the right amount of scientific explanations.